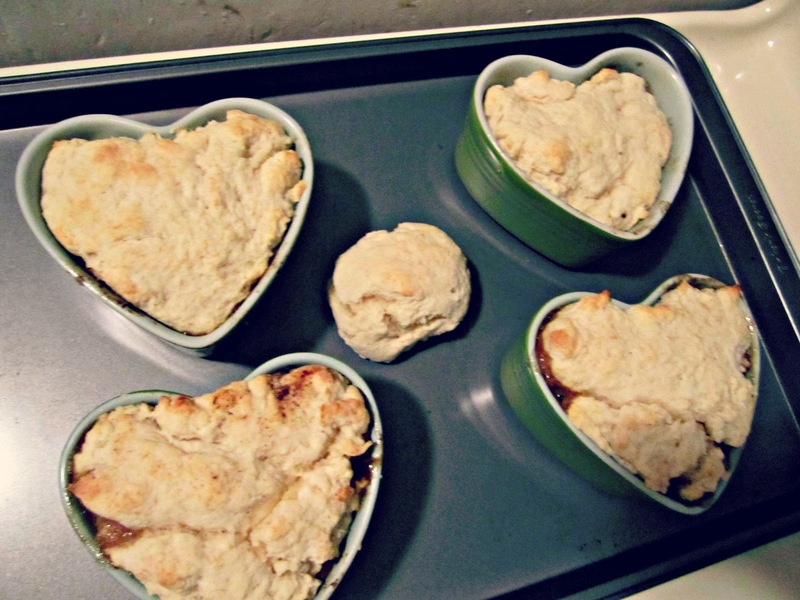 Well, back a few weeks sheesh, MONTHS ago, I was given 4 adorable green heart ramekins for my birthday. I. FREAKIN. LOVE. THEM. Did you know that you can turn any leftovers into super awesome dinner with just some cutie pie ramekins???? Well, now you do. I struggle with leftovers. Really struggle. I get so pumped about the dinners I cook, but then I want another pump me up dinner the next night. Leftovers are so BORING! So, here's my new thing. 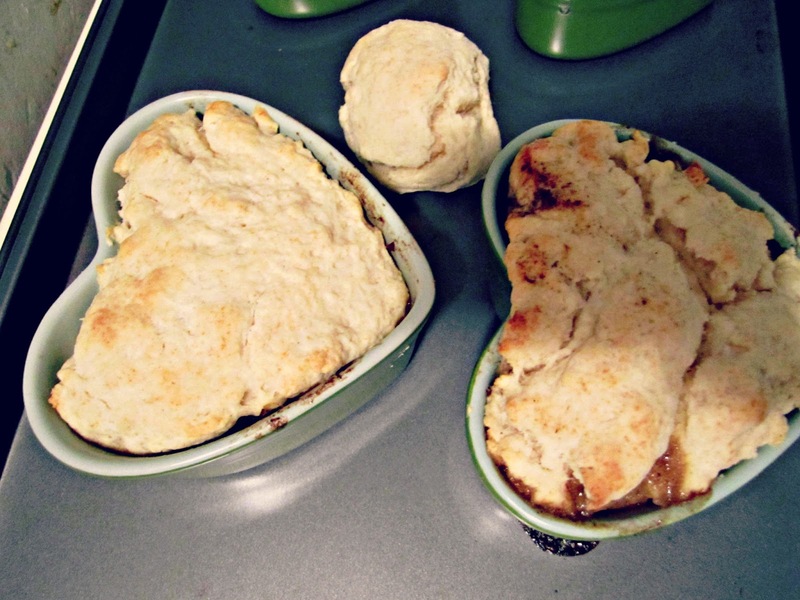 Leftovers, covered in biscuit dough, in the oven in a heart shaped ramekin, and I'm super pumped! Soup, stew, rice, casserole, pasta, baked anything...... you name it! Put it in a heart shaped ramekin, add some sort of breadcrumb, cheese, or biscuit, back in the oven for a bit, and it is instantly amazing. Also, I have yet to try any sort of actual initial dish with these. I'm thinking valentine's day individual molten lava cakes. Well I learned a new word today! 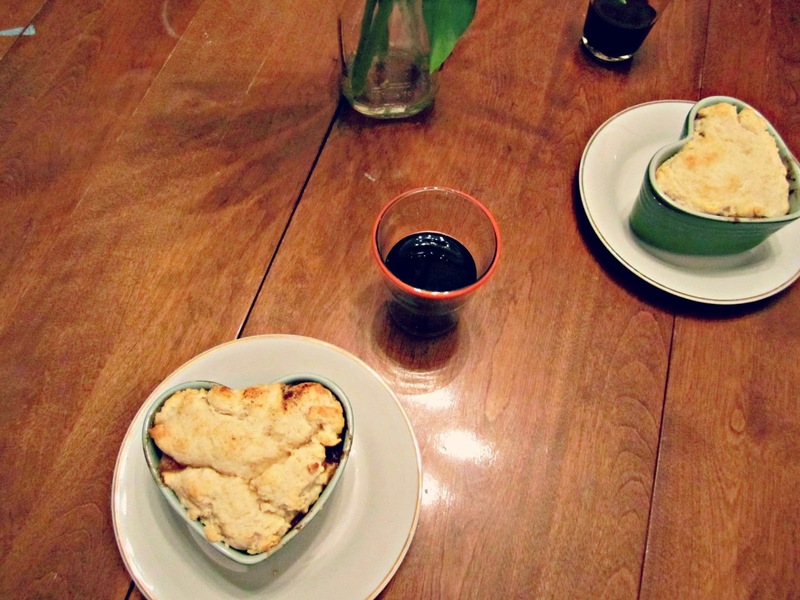 Awesome heart ramekins! (It took my three tries to spell that). This is a fantastic idea! 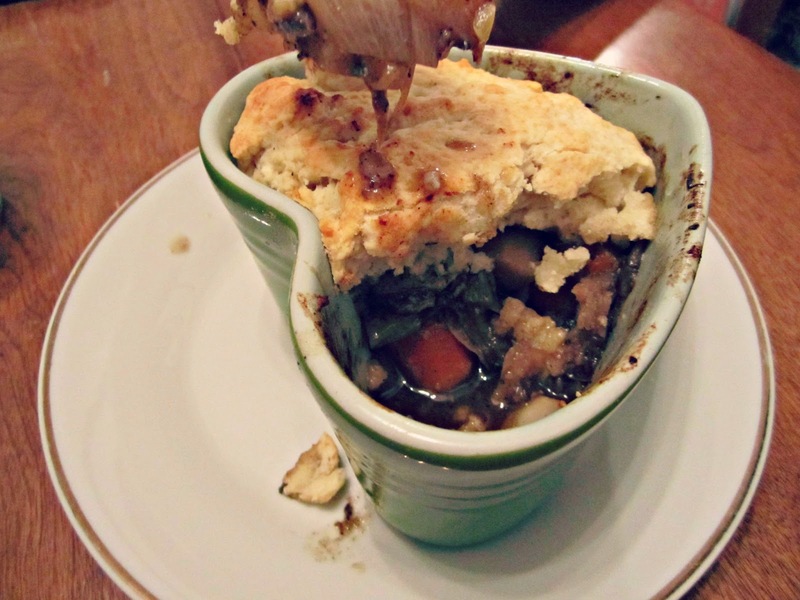 What a great way to make leftovers new again. I just adore the heart shape. Do you know where they are from? That's awesome! Yes, molten lava cakes for sure! I just bought some ceramics things that I think are souffle dishes, but I think they would also be great for desserts or chicken pot pies. Those ramekins are adorable! I'm obsessed with all things hearts and judging from your last few posts you are too!? Haha. I would use them to make apple crisp.